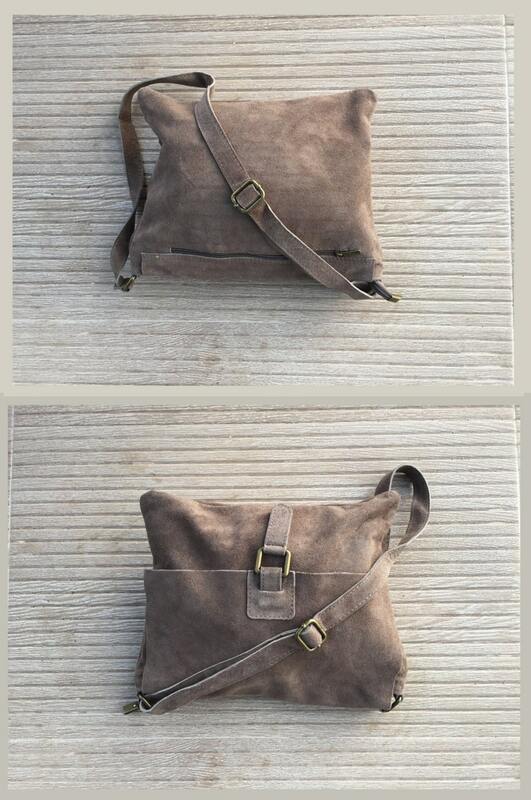 Bohemian leather bag in TAUPE BEIG . GENUINE leather. 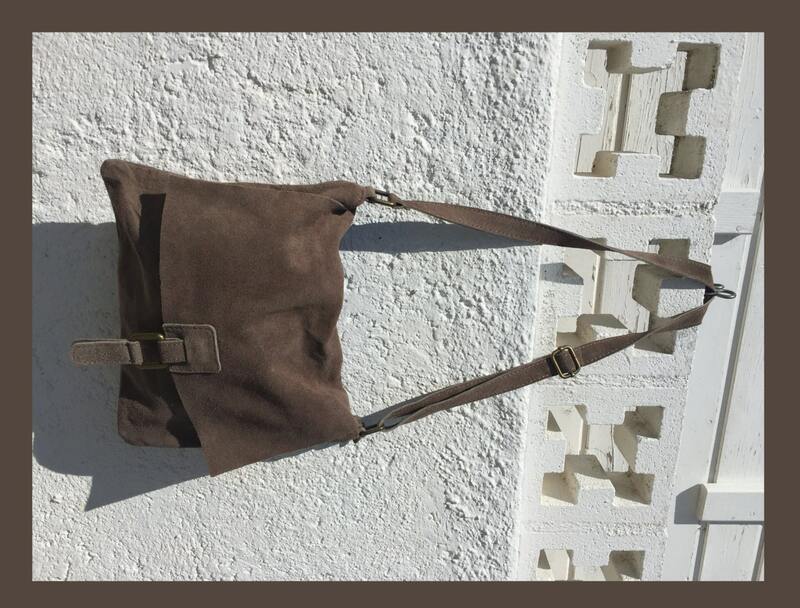 Soft suede leather cross body or shoulder bag. 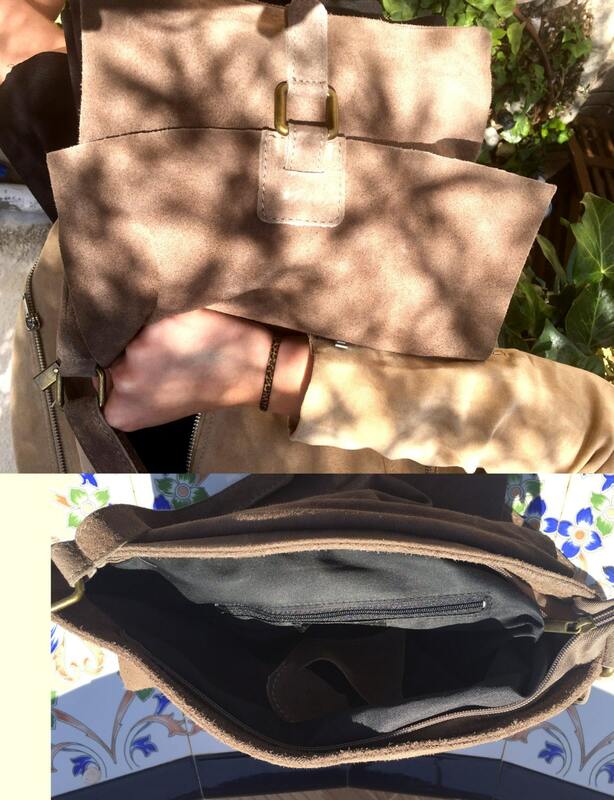 Brown messenger bag. Large enough to fit books and tablets. Adjustable genuine suede leather straps, closed by zipper and flap. The inside of the bag is lined in a strong nylon-cotton mix fabric . It has a main zipper on its upper part (underneath the flap) and one large zipper closed pocket at the back and another one inside. 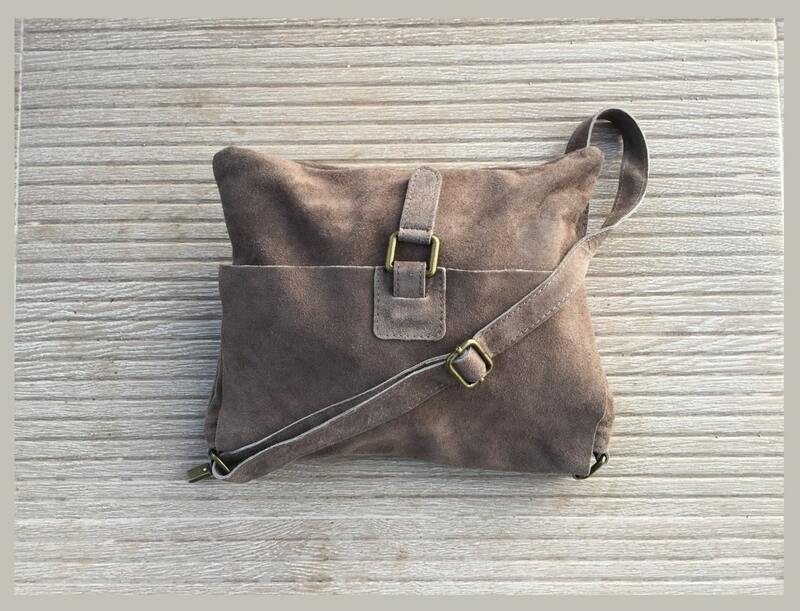 Love this suede taupe purse. Perfect size. Lightweight. Better grip on my shoulder than other materials. Shipping was fast to Canada. Tres beau sac de bonne qualite je recommande sans probleme.